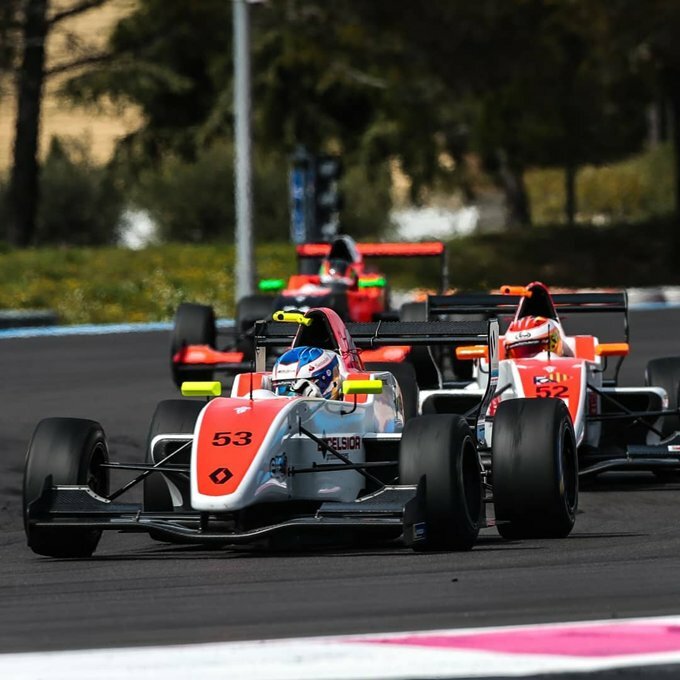 The opening round of the Eurocup Formula Renault 2.0 series was more challenging than expected for AVF last weekend. The team led by Adrián Vallés faced a different situation compared to the collective test held a few weeks ago, also at Le Castellet, the same venue hosting the Formula 1 Grand Prix of France: the rain fallen during free practice changed the balance of the weekend. In addition, there was a new variable with the starting order of race 1 provided by qualifying 2 and vice versa. It was a brand-new solution by Renault Sport that eventually provided an even more unpredictable show. In race 1, Eliseo Martinez was the best AVF driver at the finish. Then Spaniard was fighting for the top-10 in race 2, but was penalized by 10 seconds for a jump start. Christian Munoz ended up in P14 and was the leading AVF driver to cross the finishing line on Sunday. The next race meeting for AVF will be this coming weekend in Monza, with the Eurocup Formula Renault 2.0 lining-up alongside the Blancpain GT Series. "The opening weekend has been a particular and challenging one, with free practice on a wet track and precipitations coming and going. For our drivers, who are among the youngest on the grid, this aspect turned out to be quite an obstacle. They went out in qualifying with some slightly distorted references due to the weather, but considering the challenges, I think they did a good job. They were not very lucky for sure: the penalty given to Eliseo and Xavi's retirement impacted the balance the event. Axel put together a good comeback over the two races as well as Christian. Monza is a track that has always suited us well in the past and we are definitely looking forward to delivering.